Political family feuds have spilled into the public realm recently with several relatives taking a stand against the political views of their family members. Most recently the uncle of Stephen Miller, President Donald Trump's former senior advisor, wrote a scathing op-ed on Politico of his nephew -- writing that the advisor was an "immigration hypocrite." David Glosser's piece comes in response to his nephew's strong support for the Trump administration's immigration reforms such as its “zero-tolerance” policy, a system that resulted in the separation of more than 2,000 children from their parents. “I have watched with dismay and increasing horror as my nephew, an educated man who is well aware of his heritage, has become the architect of immigration policies that repudiate the very foundation of our family’s life in this country,” Glosser wrote. 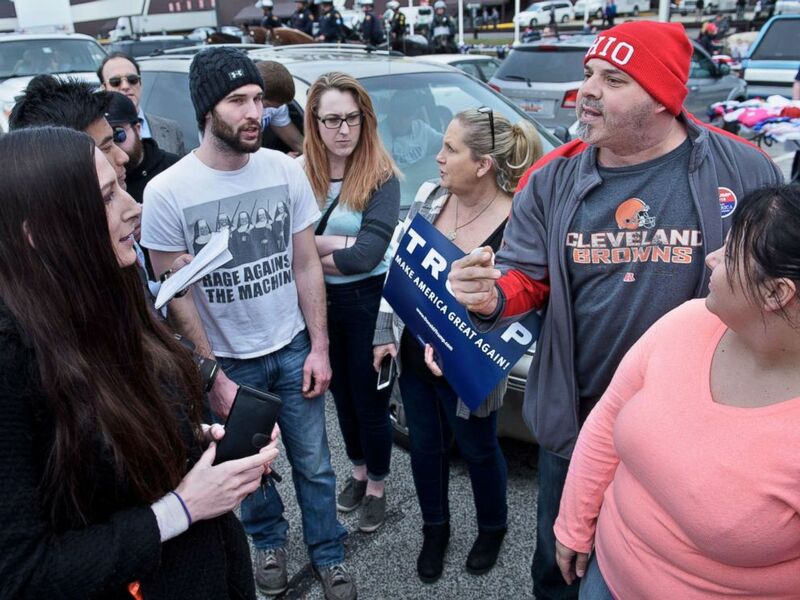 People of opposing political views talk in a parking lot after a Trump rally at the International Exposition Center on March 12, 2016 in Cleveland, Ohio. Here are other recent examples of families taking a political stance against their relatives. 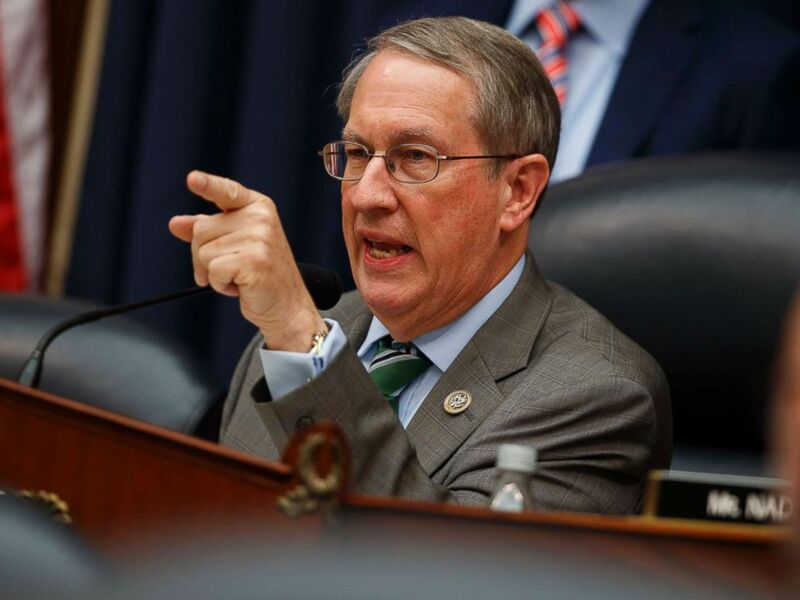 Bobby Goodlatte stood his ground in opposing Rep. Bob Goodlatte in a tweet on Monday -- the representative who also happens to be his father. Chairman of the House Judiciary Committee Rep. Bob Goodlatte questions FBI Deputy Assistant Director Peter Strzok during a hearing on on Capitol Hill, July 12, 2018, in Washington. In the past, Goodlatte has been a critic of his father and has even claimed to donate the maximum amount of money to Rep. Goodlatte’s democratic opponent Jennifer Lewis. What happens when you combine an outspoken critic of Trump and a White House advisor? Kellyanne Conway's marriage. In a subtweet on Thursday, George Conway quoted a journalist’s comment to a story critical of Trump with his own punch at the president. This is not the first time the lawyer has tweeted about the president. In addition to his tweets, Conway will retweet posts that take a jab at his wife’s boss. On Wednesday, the Washington Post reported Conway believes her husband's tweets are “disrespectful.” However, her husband told the news outlet he thinks he’s “holding back a little” for “obvious” reasons. Need to settle a family political dispute? Why not run against each other? That’s exactly what one father and son from Rhode Island are doing. Registered under the same home address, David Quiroa Sr., 47, and David Quiroa Jr., 22, are running for the Rhode Island House seat. The elder Quiroa is running as a Republican and his son is filed as an Independent candidate. According to the Associated Press, the two tend to argue over Trump’s presidency. This will be the second time Quiroa Sr. will run for the seat after losing the primary over a decade ago. It is unclear who Quiora Jr.’s mother will vote for this September. 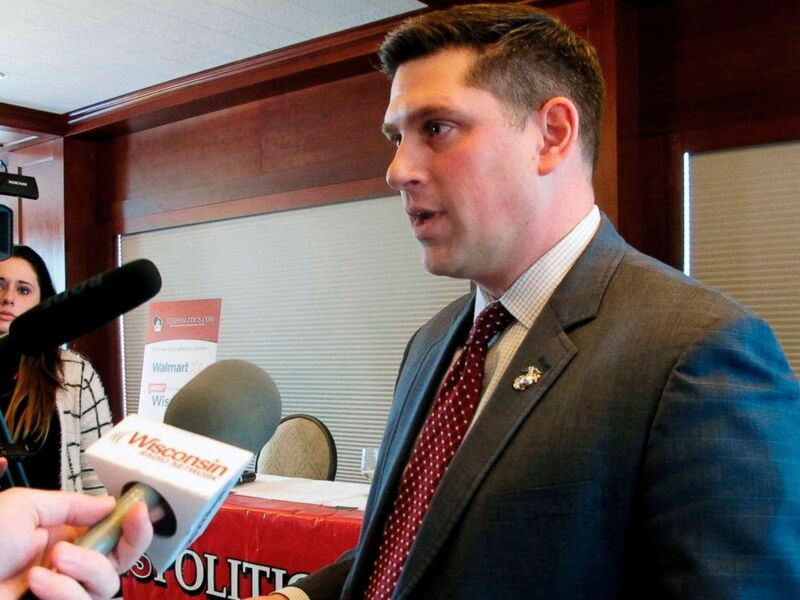 Earlier this year, Kevin Nicholson announced his Senate bid to run for the Republican nomination of Wisconsin -- and among his financial adversaries were none other than his parents. Wisconsin Republican Senate candidate Kevin Nicholson speaks with reporters in Madison, Wis., Jan. 30, 2018. According to Federal Election Commision records, Nicholson’s parents each donated the maximum fund of $2,700 to his Democratic opponent Tammy Baldwin months after he announced his campaign. However, Nicholson told ABC News he was not surprised by his parent's actions. “My parents have a different worldview than I do, and it is not surprising that they would support a candidate like Tammy Baldwin, who shares their perspective,” Nicholson said.